Italian top dirt riders are confirmed! Hey everybody! If you haven’t heard already, Trey and Natty are back on the road this summer with a route that will take them to 15 bike parks up and down Eastern North America. 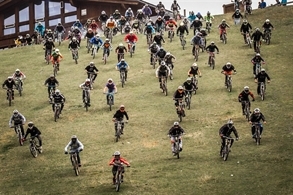 CPGANG is arriving at the Mottolino Bikepark in Livigno. The bikepark is open, with a lot of riders and a couple of special guest riders. Watch the video!